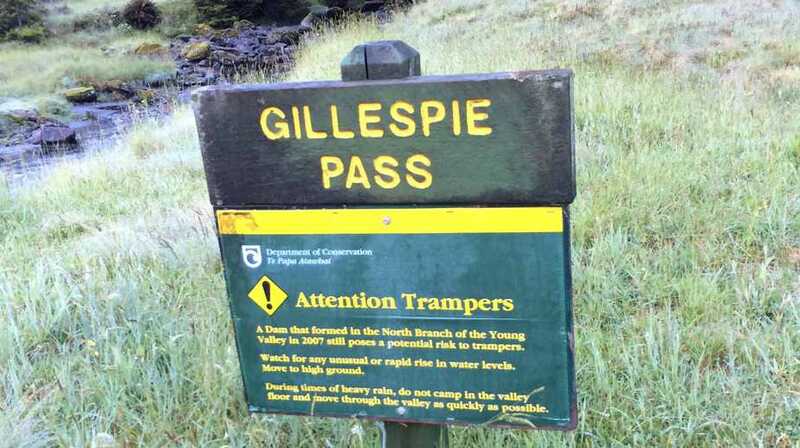 The Gillespie Pass adventure is targeted to take place over 4 days, 3 nights within Mount Aspiring National Park, South Island, New Zealand. The park is renowned for its amazing diversity – mountains, alpine lakes, river valleys, waterfalls, glaciers, beech and podocarp rain forests. Above the tree line, subalpine gardens of tussock mark the mountainside in green lushness. The mountains are unspoilt and truly a sign of the beauty of the wilderness. 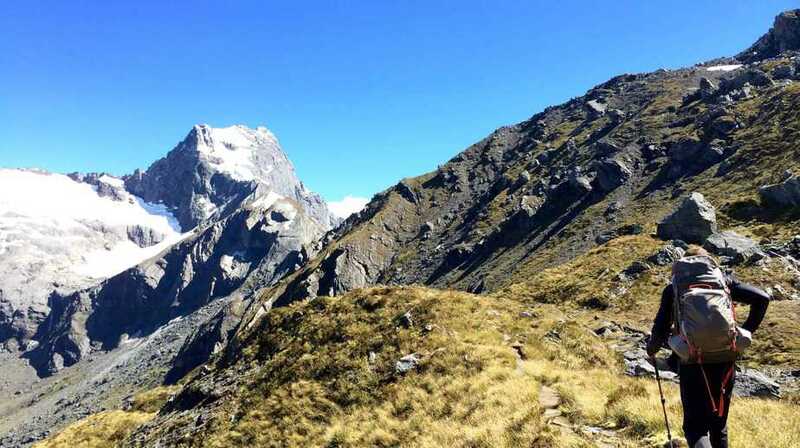 Enjoy the exciting climb up to Gillespie pass (1600m) to enjoy the skyline view of Mount Aspiring national park and Mount Awful. We will enjoy a day trip to Lake Crucible where Ice floats on the lake much of the year. We will enjoy the beginning of the last day with a thrilling jet boat ride to the trail head. DEPARTURE TIME February 18, 2019 Please arrive by 6:00 PM at Wanaka Town Center, Wanaka, NZ. *Only one pickup time can be accommodated at Queenstown airport. We can assist in booking a shuttle if you cannot make the departure time, the cost will be paid by the individual. 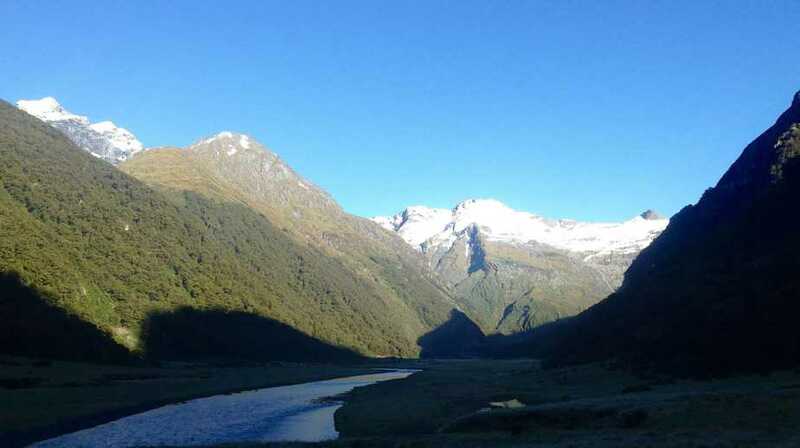 The next day start with a scenic drive up to Makarora valley and the Wilken river. Here we start the hike at the Wilken river where you will be mesmerized by the lushness of the depth of blue in the color of the water. 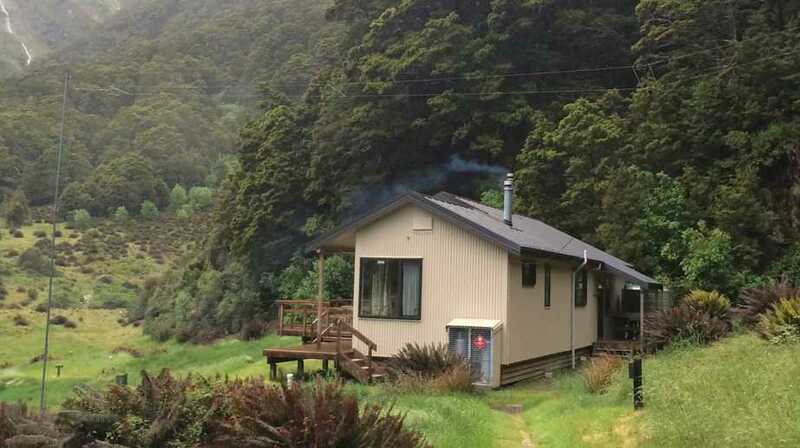 From here we will trek thru the beech forest thru the grassland to our first stop for the evening, Young hut. (Trekking time 7 hours – Distance 20 km). Any early check-out and drop off back at Queenstown Airport or in Queenstown. For those wishing to extend their stay in Wanaka or in New Zealand, we will have to say a warm farewell at this points as our guides will be making there way up to the Himalayas after this trek. It’s important to stay comfortable and bring the correct items, without overloading your backpack. At Wildfire we want to keep you prepared as well as comfortable on the trail. It is important to have a change of clothes at the end of the day to get out of the clothes you hike in. At Wildfire Expeditions, we use a combination of grading systems based on technical requirements of the climb as well as the physical conditioning of the trek. 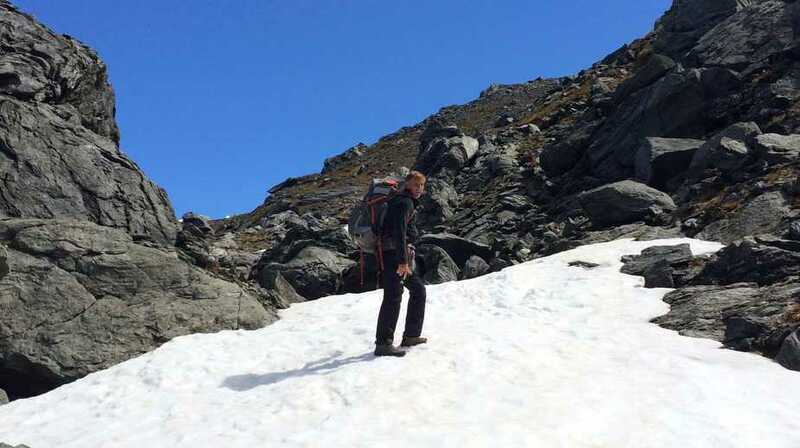 The grading systems we use to assess the treks is a combination of the New Zealand Alpine Grading System and the French adjectival alpine system As with any treks, there is a level of physical fitness that is required. Trekking days can be an average of 8 to 12 hours, and summit days can be 16+ hour days. Before undergoing any new or strenuous physical activity, it is advisable to receive a health check from a qualified physician. 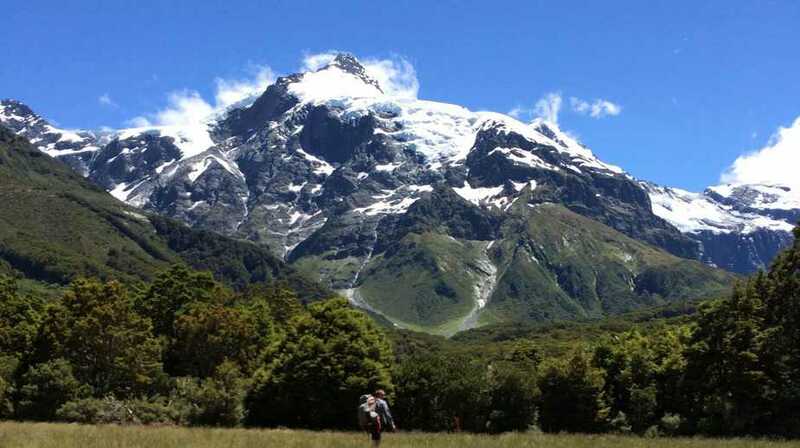 An alpine grading system adapted from the grades used in the Aoraki/Mt Cook Region is widely used in New Zealand for alpine routes in the North and South islands. Grades currently go from 1–7. The grading system is open ended; harder climbs are possible. Factors which determine grade are (in descending order of contributing weight): technical difficulty, objective danger, length and access. New Zealand Grade 1: Easy scramble. Use of rope generally only for glacier travel. New Zealand Grade 2: Steeper trickier sections may need a rope. New Zealand Grade 3: Longer steeper sections generally. Use of technical equipment necessary. Ice climbs may require two tools. New Zealand Grade 4: Technical climbing. Knowledge of how to place ice and rock gear quickly and efficiently a must. Involves a long day. New Zealand Grade 5: Sustained technical climbing. May have vertical sections on ice. New Zealand Grade 6: Multiple crux sections. Vertical ice may not have adequate protection. Good mental attitude and solid technique necessary. May require a bivy on route and be a long way from civilization. New Zealand Grade 7: Vertical ice/rock which may not have adequate protection. Rock grades in the high 20’s (Ewbank). Climb may be in remote area. May require a bivy on route. F: facile (easy). Straightforward, possibly a glacial approach, snow and ice will often be at an easy angle. PD: peu difficile (slightly difficult). Routes may be longer at altitude, with snow and ice slopes up to 45 degrees. Glaciers are more complex, scrambling is harder, climbing may require some belaying, descent may involve rappelling. More objective hazards. AD: assez difficile (fairly difficult). Fairly hard, snow and ice at an angle of 45-65 degrees, rock climbing up to UIAA grade III, but not sustained, belayed climbing in addition to a large amount of exposed but easier terrain. Significant objective hazard. D: difficile (difficult). Hard, more serious with rock climbing at IV and V, snow and ice slopes at 50-70 degrees. Routes may be long and sustained or harder but shorter. Serious objective hazards. TD: très difficile (very difficult). Very hard, routes at this grades are serious undertakings with high level of objective danger. Sustained snow and ice at an angle of 65-80 degrees, rock climbing at grade V and VI with possible aid, very long sections of hard climbing. ED1/2/3/4: extrêmement difficile (extremely difficult). Extremely hard, exceptional objective danger, vertical ice slopes and rock climbing up to VI to VIII, with possible aid pitches. ABO: Abominablement difficile (abominable) Difficulty and danger at their limit. Some Amazing Snapshots from the Region. Each deposit, includes a $100.00 non-refundable registration fee. Full refunds, less registration fee, will be provided 90 days prior to the trek or dive date. 50% refunds will be provided 60-89 days prior to course, trek or dive date. 25% refunds will be provided 45-59 days prior to course, trek or dive date. No refunds will be provided 45 days prior to course, trek and/or expedition date. All refund requests must be made in writing within the deadlines stated above. All balances are due 60 days prior to departure date unless otherwise specified.